Here in northwest PA I have encountered ticks in January, but that’s rare. It seems that spring and fall have the highest tick numbers and we know that some ticks carry Lyme disease. Lyme is caused by bacteria called Borrelia burgdorferi. Now, I don’t really know what that means, but it sounds pretty bad. So let’s talk about some ways to protect yourself and what to do if you do find an attached tick on you or somebody else. and all your outdoor clothing with Permethrin. Permethrin not only repels ticks, it kills them. In fact I’m not completely sold on the repellant claim, but I am very certain it kills them because I have watched it happen. More than once I have found a tick crawling on my Permethrin treated clothing only to have it suddenly stop moving and shortly fall off. 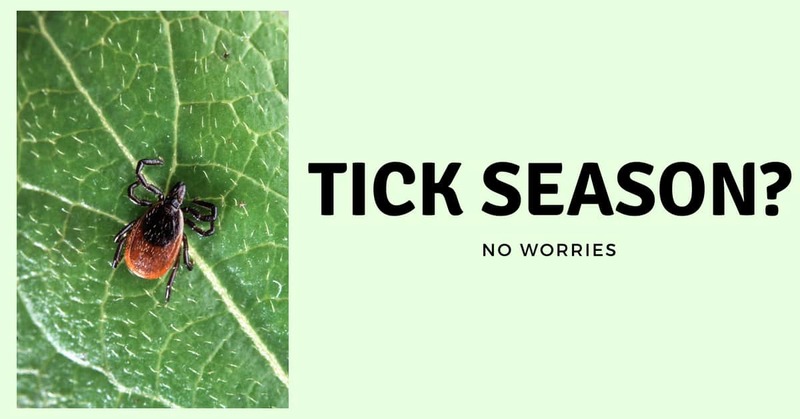 Once on you, live healthy ticks don’t just fall off on their own. Those ticks were seriously dead. Most Permethrin sprays come in a 5% solution. Follow the directions on the label but they are all pretty much the same. Simply spray your boots and clothing liberally, until they are damp with the solution. Make sure to treat the inside of your pants legs as well. Let it dry before wearing. Most sprays claim to last two weeks. I retreat after two washings. You can also treat packs, tents and tarps. The more Permethrin around you the safer you are. But do not apply Permethrin to your skin. It’s for clothing and gear only. As a second line of defense you can also apply insect repellants containing DEET, picaridin, oil of lemon, eucalyptus, para-menthane-diol, or 2-undecanone. You can apply these to your skin and your clothing. Repellants, as the term implies, only repel ticks. They do not claim to kill them. The important thing is that they can help prevent ticks from attaching to you. Always follow the product instructions. Your third line of defense is simply to be aware of ticks and check yourself now and again while outside. If you’re on especially good terms with another member of your party, by all means check them too. See, even ticks have an upside. Shower as soon as possible when you get home. Showering can wash ticks off that are not yet embedded. If one is embedded you’re likely to find it while showering. Which brings us to the icky part, what to do if you find a tick embedded in your skin. Running out of the bathroom naked screaming “GET IT OFF!! GET IT OFF!! won’t do much to maintain your rough and ready outdoors person reputation. In my 40 years as an outdoorsman I have had occasions to panic. I have even participated in and several times presided over some earth-shaking group panics. When it’s time to panic believe me you’ll know. If for some inconceivable reason you don’t your companions will let you know. You will not be left out. But…….”THERE’S A BUG ON ME! !” is no reason to panic. Which brings us to some good news. For you to contract Lyme disease the tick must be embedded in your skin for at least 30 hours. Some experts say 36 and in most cases as long as 48. It takes that long for the bacterium to be transmitted to you. And, not all types of ticks carry Lyme. The blacklegged tick certainly does but not all blacklegged ticks carry the baterium. So you have a tick embedded in your skin. You have not panicked. Here’s what you should do. Using some fine point tweezers grip the tick as close to the point of attachment as you can and gently but firmly pull backward. Avoid crushing the tick’s body if you can. I know it sounds wrong but don’t worry if the tick’s mouth parts or head remain in the skin. Cleanse the area with soap and water. The tiny parts left in the skin will quickly dissolve. Digging for them only opens the path for infection. Watch the bite area for several days. Watch for the tell-tale bulls-eye rash. Erythema migrans is a red circular rash that often appears at the site of the tick bite, usually within 3 to 14 days after the bite of an infected tick. But remember that not everyone infected with Lyme ever gets a rash. Symptoms of early stages of Lyme include fatigue, chills and fever, headache, muscle and joint pain, and swollen lymph nodes. If you feel unwell see your doctor. In fact, it’s a good idea to call your doctor after having an embedded tick. Some physicians recommend a course of antibiotics as a precaution. Okay, ticks and Lyme disease are no joke. But by equipping ourselves with some protection, checking ourselves while outdoors, showering and thoroughly checking ourselves when we get inside and following up on any close encounters of the tick kind we can enjoy the outdoors safely. Like I said, no worries. Dave is a life long outdoors men and can be found camping in all four seasons. 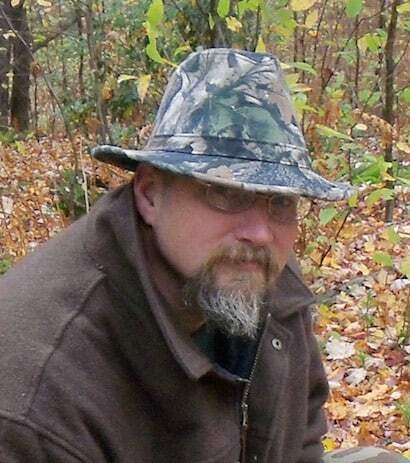 He spends as much time as possible on the rivers and in the woods canoeing, camping, fishing and hunting. He teaches bushcraft and woodsmenship to beginners and people that want to feel more confident and competent in the outdoors. Check out the course page for course relevant information. Good info here. Every outdoor person should know these techniques.